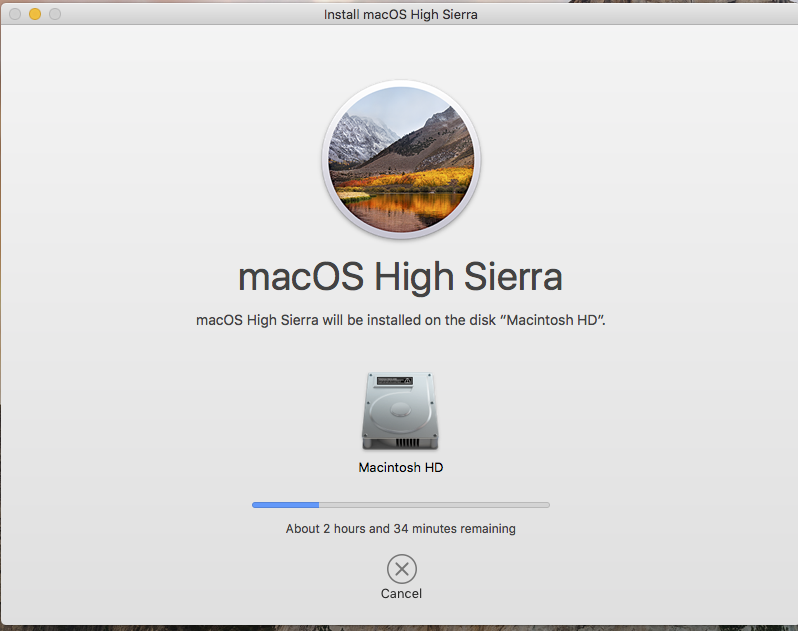 I'm updating OS X EL Capitan to High Sierra. Today morning I was go on App store and download High Sierra. After downloaded the installer opens automatically and I clicked on "Continue". From apple's official document. But last 3-4 hours my installation process is stuck mean not progressing further. So what can I Do? Why this is taking to much time? Should I cancel and restart the system and again try to install it? Or keep patience? If I cancel and restart system and try again then I will be make any major problem? I don't know what I should do. Please guid me on right direction. if we canceled installation and restart again then any major problem will occur? Answer is No you can do cancel and reinstall process any time It will be managed by core system. Not the answer you're looking for? Browse other questions tagged macbook high-sierra macos .